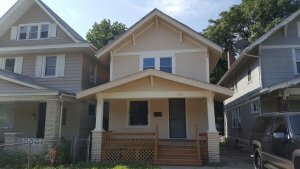 For Kansas City Investment Property Services, ICR Real Estate Services Provides Quality Single Family and Multi Family Renovation For Investors Throughout The Urban Core Market. 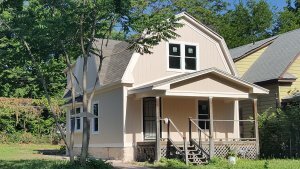 We provide honest solutions for Kansas City investment property owners who acquire value added property and need a turn key renovation done on time and on budget. Let us bid your next renovation project. ICR Real Estate Services is one of Kansas City’s top real estate renovation companies because we focus on doing things right. 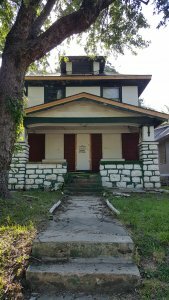 We specialize in distressed properties: multi-family, single family, bank REO’s, and Land Bank properties. No job is too big or too complicated. A big passion of ours is helping to be a part of beautifying the communities we work in by helping people get through tough real estate renovations. Looking For A House To Live In? We Can Help With That Too! We buy houses in Kansas City for cash and have the ability to close quickly… as quickly as 7 days if you need us to. At ICR Real Estate Services, we are a serious wholesale cash buyer that pays you a fair purchase price, requires no appraisals, no traditional lender-required repairs, and we charge NO FEES. We are looking to buy all types of property in any condition in the Kansas City area. If you are looking to sell your Kansas City home quickly, we would like the opportunity to make a fair offer on your house. We can have an offer in your hands within 72 hours. Give us a try by clicking the link below. Need To Sell Your House In Kansas City Fast? Being one of Kansas City‘s premier real estate investment firms we run across a lot of great investment property deals in Kansas City. Through our private investor program you could earn a high rate of return while being protected with a first position note and deed of trust. We also have joint venture programs with a number of different options. Also, we work with qualified investors who want to leverage real estate to help you diversify your portfolio and earn solid returns. From buying Kansas City rental properties from us, to joint venturing with us on real estate projects, to debt investors looking for a consistent return… we have several options that you may be interested in.